I can hardly believe it is exactly three years and four months since my first novel was published on April 1st, 2014, and today sees the release of my fourth in the USA and Canada! It has been an amazing experience from then to now, and I’m just as excited about this book as I was about the first. 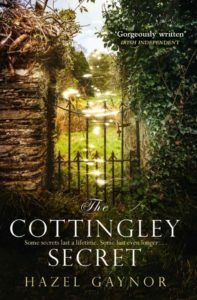 Having worked on THE COTTINGLEY SECRET for over two years now, it is lovely to know that the book is finding its way into readers’ hands. This is when it stops belonging to me, and belongs entirely to you. I hope the reading experience is as magical as the writing experience. 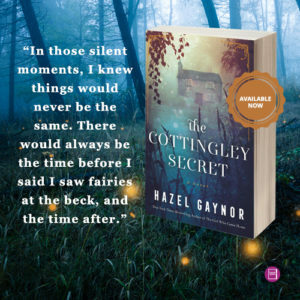 As ever, I couldn’t do any of this without the amazing support of family and friends, fellow authors, and all the fabulous book lovers, bloggers and readers around the world who keep buying and reading my books, and telling their friends and family about them. 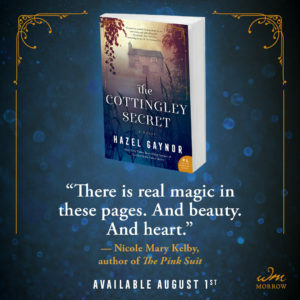 I am also indebted to my incredible agent, Michelle, my wonderful publishing team at William Morrow/HarperCollins in New York and my fantastic publicists at Booksparks. Thank you all, for everything. For readers in Ireland, the book releases in paperback on 7th September. The ebook will also release in the UK at the same time. Readers in Australia and New Zealand will be able to get the book from 18th September. 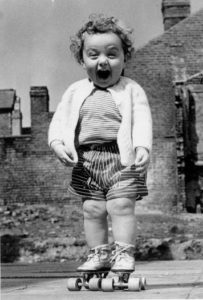 As has become a bit of a publication day tradition, my emotions today are perhaps best summed up by this young lady! Thank you again for all your support!